Nobody knew when they had been made to live like this. Perhaps it had always been this way, with the giants among men lurking at the very edges of cities’ borders, the wargs prowling through dark streets and alleyways. As technology advanced, so did mankind’s defenses against the world eaters, but the threat always remained. It found ways to fight back against the steel of man, and did so with unmatched vigor. Even in the darkest of hours, when Hel, daughter of Loki and ruler of the underworld, had risen with her army of the damned, the Blessed- the steadfast defenders of mankind- had managed to defeat her after a long and grueling conflict. It remained like this for centuries- an arms race between predators that constantly ebbed and flowed- until, one day, you woke up to something...odd. Somewhere on your body, a symbol had carved itself onto your skin. You might have had a lifestyle that would allow you to shrug off a sudden, inexplicable tattoo, but even if you did, it was a bit harder to dismiss fireballs launching themselves from your open palms. Or leaving your house to find that the sunflowers you had planted only a day before had become taller than your roof. Regardless of what might have happened, not long after this event, a group of suited men and women would soon come knocking at your door. They explained that you had been blessed by the Allfather himself for a special purpose. You, along with eight others, had been granted holy powers in order to defeat the armies of the damned. To fail, they said, would to mean the destruction of the world itself. They implored you to come with them, to prepare for the great war ahead. Of course, you didn’t have a choice, either way. Hello, everyone, I’m Echo, and welcome to The Runes. This is a fantasy/supernatural/anime influenced RP that takes place in modern day 2019- albeit a modern day 2019 that has seen humans warring with frost giants for generations. As you might have guessed, this is a roleplay loosely based on Norse mythology, where the protagonists are granted abilities based on the symbols of the runic alphabet. They have to master their powers and work together or the world will end, and all that good stuff. Keep in mind that, despite all the warring going on, a lot of the culture and goods from this era still carry on. So if you’d like for your character to go on a date to a coffee shop after they punch a giant wolf monster in the face, it’s entirely up to you. The world is your oyster. The characters will be kept in a facility where the Blessed will train and supervise them, and generally make sure that they’re making good progress as the chosen ones. The facility is set up inside a large mansion located at the borders of one of the larger cities, and contains several training halls, a library, a cafeteria, their bedrooms, and whatever else they might require. They are allowed a period of several hours to themselves each day- whether it is to wander the grounds or to take a break in the city- but most of the day is dedicated to fighting and training up. You are welcome to take any sort of role you’d like, whether it happens to be a Rune, a World-Eater, or a Blessed. Keep in mind that while Runes and named World-Eaters, such as Fenrir, are limited, general World-Eaters, such as Jotun and the like, as well as Blessed, are unlimited. Enhanced physical attributes, including strength, speed, and senses. Future vision, the power to influence reality through words and naming. Knowledge, the power to weave illusions. The power of protection. Can create a shield surrounding themselves and allies. The power of wind and air. The power to control flora. The power to heal and rejuvenate the sick and injured. Those prophesied to aid in the destruction of this world, and the ushering of a new age via Ragnarok. The wyrm that gnaws on the roots of Yggdrasil, and devours the corpses in Náströnd. A monstrous wolf fated to one day devour Odin himself. One of Loki's children. The Midgard Serpent, whose release of its tail will begin Ragnarok. One of Loki's children. - Basic rules apply here, too. Be legible, no PPing, no veering wildly off canon, etc. - Please ask me if you have an idea for the plot/story-line. - Be polite. Inside the RP, your characters can be at each other's throats, but outside we're all responsible, mature people(I hope), who should act that way. - If you plan to leave the roleplay or expect to be caught up for some time, it would help a lot if you could give us an advance notice, so we can work with your leftover character much easier. Thank you! Click Here for Discord Chat! Nicknames/Aliases: Isa. Pretty much exclusively goes by Isa nowadays. Rune/Location: Isa - Between her shoulder blades. Rune Powers: Control and manifestation of ice. Ability to drop body temperature to extreme lows and survive in extremely low temperatures. 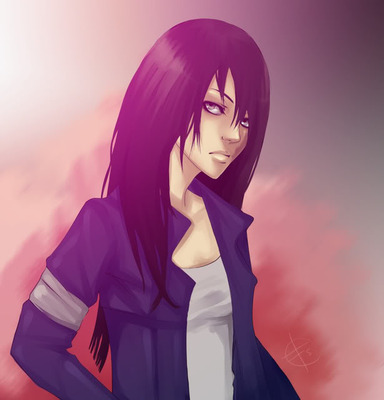 Description: Isa stands at about 5'7, an angular-looking woman with long, blue-black hair, grey eyes. She has high, noticeable cheekbones and a naturally pale complexion. She often wears black fingerless gloves, a long-sleeved top, coat and scarf even when indoors. She often dons black eyeliner but otherwise doesn't seem to worry too much about make-up. Personality: Ice. Cold. Static. Unyielding. Isa is, perhaps not the easiest person to get along with. She has had little opportunity in her life to make friends and develop socially with other people, and her experiences have given her a considerable level of drive to tackle world-eater creatures. As such she can come across as rather disinterested in other things. This is also combined with a general lack of concern for the feelings of others that often makes her rather insensitive. Indeed her general lack of emotion can sometimes unnerve people. She has absolutely no problem with dismissing people's opinions or insulting people, as she tends to have he mind on tasks at hand rather than necessarily anyone else's immediate wellbeing. In addition she's gotten rather used to being the only active rune around the organisation...and whilst she's quite focused she's also not necessarily used her rune fairly or compassionately. She is not above freezing people's car keys in ice for infractions against her or her property. Skills: -Very high IQ and eidetic memory mean Isa has a great mind for facts and calculations. This is something she factors into how she works. -Having possessed Isa for nearly five years, she has pretty unrivalled control and finesse with her ability. She has learned to use it adaptively and in a broad swathe of situations. She is able to work in complete harmony with the rune most of the time. Weaknesses: -Isa cannot materialise ice or water in very dry air, meaning she will struggle round widespread fire or in very low humidity. -She's had somewhat limited exposure to the outside world and this affects how she interacts with people socially. Oren was brought up in one of the many small, fortified towns out beyond the city borders. Life was quite hard divorced from the more modern aspects of city living, and not made easier by her family situation. Her father Emil was a controlling man. A man with high standards that his daughter rarely met. He wished her to reach exceptional levels in her studies, but even her high intelligence rarely satisfied the man. She wished, or at least had been raised to wish, to become exceptional...but had no idea that that wish would come true in a very unexpected way. with her father away, Oren was awoken to a noise like no other. The roar of a jotun, followed impact that shook the building to its foundations. She ran to the window to see a sight that summed the greatest fears of just about any citizen. The defensive wall had been breached and a jotun warband was pouring in through the gap.. In that moment she was quite calmly certain that every single person in that town was going to die. What passed in the following hours, only Oren could really be sure of, and even then it leaves some room for uncertainty. Several days later a consignment of scouting troops from The Blessed arrived at the ruined town in effort to try and track the Jotun back to a camp or hideout. as they picked through the battered wreckage they saw something...unlike anything they'd come across before. A dead jotun warrior, sprawled over a great spike of razor-sharp ice. Frozen in the centre of the ice was a dark-haired girl, and the rip in the back of her clothes revealed the shape of the Isa rune, glowing pale blue against her skin. Upon breaking the ice they discovered the young woman not only alive, but seemingly with no lasting health problems from days spent encased in frost. It was something they could only describe as the work of the gods themselves. And from there, Isa became the first active rune. The rune and its user one and the same. As far as she was concerned, at any rate. It was an identity and destiny that she took very much to heart. In subsequent years she would try and work out why it as that Isa became active so early. What she concluded was that the giant had been wounded on attacking her and jotun blood acted as some sort of catalyst. The blood of a frost giant breathed life into the rune of ice. That it was more a freak accident than heavenly predestination... but it was hard to say. Isa spent the next five years with The Blessed. She had no real choice, but she also displayed no active wish to leave. Her position gave her life meaning that it had lacked, and her powers gave he an endless source of research material to test out her keen mind upon. She spent the years developing and broadening the utility of her powers, as well as carrying out extensive research on the world-eaters, out of a desire never to be caught unprepared again. She awaited the others arriving, eager, as much as Isa ever was eager, to begin her destiny. Cheers! Transferring over to character tab shortly. Bopping this forum up to try and have it get more attention. @Odin Thank you! You have a very fitting username for this situation, haha. @EchoicChamber That is because I am a believer ;). @Odin That's fair as hell, honestly. I have an interest in Norse mythology, which is pretty much the whole reason I'm running this thing, haha. I'm getting a Secret World vibe from this, which I'm definitely digging. Out of curiosity, is this going to be an open world RP, or will this follow a story of sorts? @EchoicChamber If you need any additional info, I'm happy to help. Additionally, I might take an interest in playing as Jörmungandr, but I'm a bit confused as to the role of the world eaters. Are they just regular ol' dudes in the same vein as the runes, except their powers/strengths are based on being bad guys? @Cleverbird It will follow a general story (in fighting World Eaters, learning less than favorable things about the Blessed, and things along that line), but players will be given room to interact and basically have their characters drive plotlines and story. It isn’t entirely sandbox, cause hooks and the like will be thrown at characters, but at the same time it isn’t going to be a railroaded roleplay, if that makes any sense. @Odin Jörmungandr and the World Eaters are pretty much the actual world eaters, but taking human form or using avatars in order to push their own agenda. Not all World Eaters are necessarily trying to start Ragnarok and might have other things in mind, but others definitely want to, or seek revenge against mankind/The Blessed for various reasons. @EchoicChamber so what would be their role in the RP? @Odin They’re largely the antagonists of the RP, since the Blessed essentially want to not have Ragnarok happen, and having the World Eaters- especially the more prominent ones- running around isn’t necessarily in their best interest. Occupation: The Blessed, Junior Office Staff. Description: Helena is not a terribly imposing creature, topping out at out an unintimidating 5'2. Her build is slim, with light curves on the hips and chest rather than any defined muscle and her face is heart-shaped and girlish, with a set of wide, blue-grey eyes.She has a mop of untidy, red hair, which falls for her lower back. She has very pale skin that is quite prone to burning. She has a notable scar on the one side of her face, neck and shoulder. People often pick Helena out on her somewhat..idiosyncratic sense of fashion. Her outfit tends to frequently consist of skirt, leggings, sheepskin boots, and some of the most hideous sweaters known to mankind, hewn in rainbow colours and emblazoned with animal designs. All are at least two sizes too big. She's rarely seen without one on. Personality: Helena is a rather peculiar young woman. Socially awkward and rather absent-minded, she often seems to be going about he day oblivious of things going on around her. She appears to have a tendency to daydream and forget what she's doing. She's also rather disorganised both externally and internally, quite capable of forgetting her duties or running late. Helena is fairly shy, and whilst this certainly doesn't put her beyond attempts to make friends, this is quite easily shot down. SHe seems to have a few issues with her own self-esteem. Skills: -Photocopying, making coffee, getting people's lunch orders right at least half of the time, paints and draws relatively well. Weaknesses: - No combat experience or training. -Absent-minded, inattentive, and maybe not amazingly good at her job. Brief History: Helena has been working for the Blessed for a little while, in a relatively junior position, doing jobs around the place. She'd grown up with frequently absent family, and had gotten rather used to being alone, so adjusting to the environment was a little bit of a culture shock...the liveliness moreso than the strange happenings. It soon proved that Helena was, perhaps, not the most adept at her job, but the Blessed were very unwilling to dispense of her. For all her mistakes she's yet to receive any serious consequences short of being reprimanded, and has given a few staff reason to assume she must be related to someone high up in the organization and must be being kept on due to some familial ties. There certainly has to be something going on. Second character ready, moderately inept Blessed office intern! @EchoicChamber I'll give Jörmungandr a go, if you'd like. @EchoicChamber Cheers, is it alright if I spruce up the CS a bit when I make my character? And is there a discord for the RP?